When you are looking to improve your home, there are many different improvement options that you can choose. One of the best areas of your home to improve would be the kitchen. Not only is a kitchen the room where you are most likely to entertain guests and prepare meals, but it is also the room that will improve your home’s value the most. For those that are looking to remodel their kitchen, there are a variety of improvements in particular you should consider making with your kitchen remodel. One part of your kitchen that will make it truly stand out are the countertops. While countertop styles do change a lot over time, people today that are looking to improve their kitchens should consider getting one made of a porous material. There are a variety of types of stone, including granite, travertine, and marble, which can be ideal as kitchen countertops. These materials are very durable and come in many different styles. This helps to ensure that you will be able to find one that matches your style. One of the most important factors that you will have to think about are your kitchen cabinets. When you are looking for cabinets, you will notice that there are many different options to choose from. Cabinets come in a wide variety of types of wood, colors, and shades. You can also choose to have them custom designed or improved to include a variety of other features including glass cabinet doors, lazy-Susan’s, and stylish corner cabinets. Investing in quality cabinets will help to ensure that they will be able to withstand decades of opening and closing while also providing you with the functionality that you need. When you are looking to remodel your kitchen, one area in which you should consider investing more is in your appliances. When you are shopping for appliances, you should look for some that provide you with the functionality that you need. You should also find some that are matching and produced by reputable manufacturers. This will help to ensure that they will continue to work well for years to come. Quality appliances will also make your kitchen look great. You should also consider upgrading to smart appliances. These will give you more control when you are at home and when you are away. Another very important upgrade to consider when you are improving your kitchen is the lighting system. One of the biggest selling points of any kitchen is the lighting. 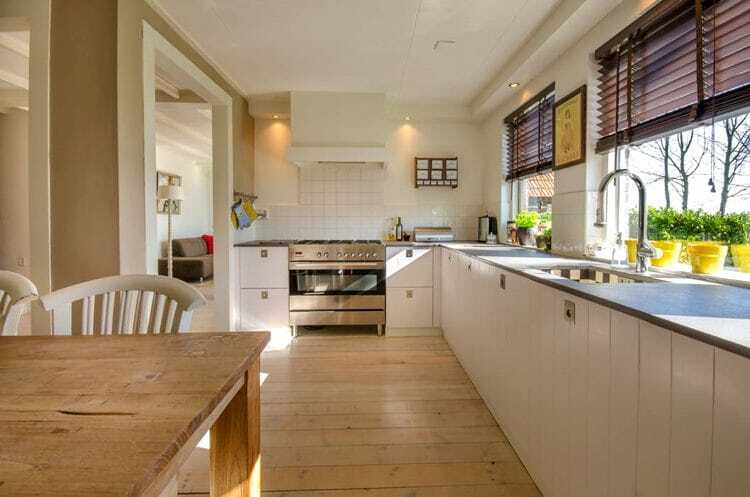 Ideally, you should have your kitchen situated in an area that is near a large bright window. This will help to make your whole kitchen feel larger and brighter. Another option would be to find creative ways to add lights to the kitchen, such as having some installed underneath your cabinets. One of the biggest trends in kitchen design is to make it a more wide open space. In the past, many kitchens were designed to be small and ot be used only for cooking. However, many people now are finding the benefits that come with opening them up to make them more social places to be. Ideally, you should figure out a way to find a space that gives you plenty of cabinet room and also will fit a table and other seating. This could help to encourage more people to gather in the kitchen, which can help to make the cook feel more like part of the party. While it is important to consider the value of your improvements, you also need to figure out what works best for you. Most likely, you will spend years living with your kitchen so you will want to make sure that you make improvements that you will use and enjoy. Ultimately, doing this will provide you with the most amount of utility and give you the best return on your kitchen model investment.